Sometimes we do things that we didn’t mean to and there are a couple ways we can express actions that we did not intend to take. We can use the noun for intention （つもり） to express what was or wasn’t intended. (I) intend on going to do shopping later. (I) don’t intend on going out at night so (you) don’t need (to) worry. (I) didn’t intend on telling the teacher, you know. You can have no intention using 「つもり」 and 「ない」 as the last example sentence shows. However, in order to describe something unintended (accidental), we need to use verb:「しまう」. The verb 「しまう」 has two main definitions: 1) to finish; to do something completely and 2) for something unintended to happen. The latter definition is used for situations when you did something you didn’t mean to do. To use this with other verbs, attach 「しまう」 to the te-form of the verb. Oh no! (I) forgot to bring (my) homework! There’s nothing you can do about something that already happened (unintentionally). (I) can’t resist so (I) unintentionally end up buying (it). In casual speech, the 「～てしまう」 can be substituted by 「～ちゃう」 while 「～でしまう」 is substituted by 「じゃう」. Both 「～ちゃう」 and 「～じゃう」 conjugate just like regular u-verbs. (I) already ordered (oops) so what should (we) do? (I) called my girlfriend by my ex-girlfriend’s name (by accident)! (I) can’t forget something that I already learned (unintentionally) right? There is also a much less common casual version of 「～てしまう」 and 「～でしまう」 that sounds much more rough and coarse and is usually only used by older males. This version replaces 「～てしまう」 and 「～でしまう」 with 「～ちまう」 and 「～じまう」 respectively. The result is conjugated the same as any u-verb. Did (you) forget to contact (me) again? Sorry, (I) read your email (by accident). Kaori: Nice to meet you! (You’re a) student of Japanese, right? (I’m) called Kaori. John: Ni, nice to meet. I’m John. Why did (you know) I’m (a) Japanese student? Kaori: (I) happened to (unintentionally) see you taking Japanese class. How many years have (you) been studying Japanese? John: Um, about 2 years? Kaori: (That’s) amazing. (You) can talk this much even though (you’ve) only been studying 2 years? (It’s) not like that. (You) are really good. Things turned out so that I will help (the) Japanese teacher from time to time while (I’m) here so let’s get along (lit: please treat me well). Oh, class is going to start soon (unintended). See you later. Lee and Alice are walking in the hallway. Lee: (I) hear Kaori-san is going to help our class’s teacher? Alice: That’s right. (It) seems she wants to be helpful to everybody. Lee: (She’s) very kind, isn’t she? Alice: That’s right. She’s very kind to everybody so seems like boys will (unintentionally) misinterpret (it) so (I’m) worried. Lee: (It’s) ok. That kind of type isn’t in our class, right? Huh? John, what are (you) doing spacing out in the hallway? John: (I) may have met (an) angel. Alice: Huh? What was that? The potential form describes the feasibility of an action. The rules for changing a verb into the potential form is given below. All verbs in the potential form become ru-verbs. For u-verbs: Replace the u-vowel sound with the e-vowel equivalent and attach 「る」. Tomorrow is work so can’t drink very much today. Can (you) do preparations for (the) event by tomorrow? For ru-verbs, you can drop the 「ら」 from 「られる」. For example, the potential form 「食べる」 can also be expressed as 「食べれる」 instead of 「食べられる」. However, you should practice with the full conjugation as the shorter form is more casual. Bus is leaving at 7 so (are you) able to wake up at 5? Don’t feel good (lit:feeling is bad) so can’t eat very much today. Another way to express potential is to use the noun for a generic event: 「こと」（事） and 「できる」. This is used to describe an event that is possible and is more generic than conjugating the verb directly to the potential form. Able to smoke cigarette here? Not able to watch this TV show on the internet yet. As you can see from the examples, this pattern is used to describe what is possible (or not) in general rather than for a specific person or thing. The potential form of 「見る」 and 「聞く」 （「見られる」 and 「聞ける」 respectively） are only used to describe the ability to see and hear, not whether something is visible or audible. 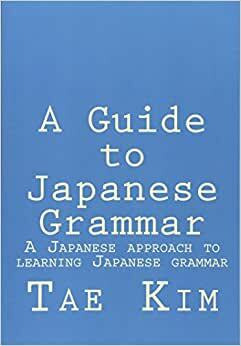 Japanese has two separate verbs to describe the latter: 「見える」 and 「聞こえる」. The examples below show the difference between the ability or capability to see/hear versus what is visible/audible. Computer is old and slow so not able to see video. (lit: Because computer is old and slow, not capable of seeing video. Another verb to pay attention to is 「ある」, which cannot be conjugated to the potential form. Instead, to express that something can exist, you must use the verb 「あり得る」. This verb is very curious in that 「得」 can either be read as 「う」 or 「え」 but if conjugated, it must always be read as 「え」. You may wonder how often one talks about the ability to exist. In practice, this word is primarily used to describe whether a situation or event （こと） can occur. John: Alice-chan, what (are you) doing? John: What is this? (Are you) using Kanji? (I) can’t read (it) at all. Alice: (I) can’t write Kanji well yet so (I’m) using Kanji as much as possible and practicing. John: I don’t use Kanji at all so (I) can’t copy Alice-chan’s homework, you know. Alice: Japanese uses a lot of Kanji so (it’s) good to practice as much as possible. Besides, (I) won’t show you (my) homework to you in the first place. (You) can’t do (your) homework by yourself? John: (My) intention was to secretly copy (it) when Alice-chan is not there. Alice: (I) can’t believe it. Culturally, Japanese people tend to only be assertive when they’re absolutely sure of something. For less certain situations, Japanese has many ways to express exactly how certain or uncertain something is. In this chapter, we will learn how to express various degrees of certainty about things that are possible, probable, and conditional.